Ping has built golf clubs since Karsten Solheim developed a putter in 1959, and irons since 1961. Like other club manufacturers, Ping always is trying to build a better driver, iron, hybrid or putter, so it has launched many lines over the years. 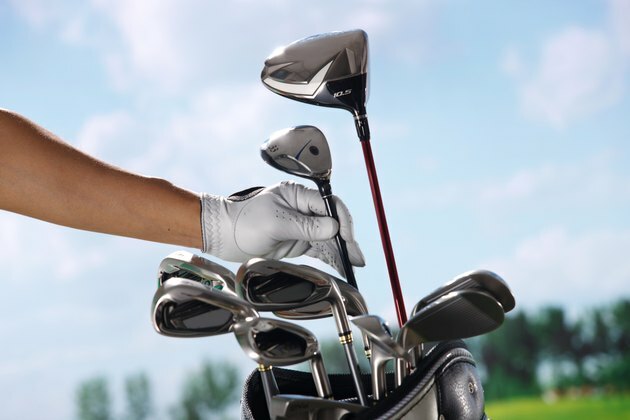 If you're trying to buy a used set from an acquaintance or over the Internet, you can get specific information about the clubs, including the age, by looking at the clubs and contacting Ping. Obtain the serial number from the Ping club in question. Find serial numbers on the hosel for irons, hybrids and fairway woods, and on the sole of the club for drivers. Late-model putters have serial numbers on the heel side of the face. Call Ping customer service at 800-474-6434, or send an inquiry through Ping's website on its "Contact Us" page. Communicate the serial number. Ask for the manufacture date of the clubs, the specifications of the clubs when they left the factory and any repairs that Ping might have done on the clubs if they were shipped to the factory. Calling in the serial number to Ping also is a way to protect yourself against buying counterfeit clubs, so ask for the serial number if buying clubs from an online auction or a stranger.